A person who moves into a new country may not enjoy all the rights that the citizens of the country do. Thus, he may want to apply for the citizenship of the country. It is for this purpose that the citizenship application forms are used. 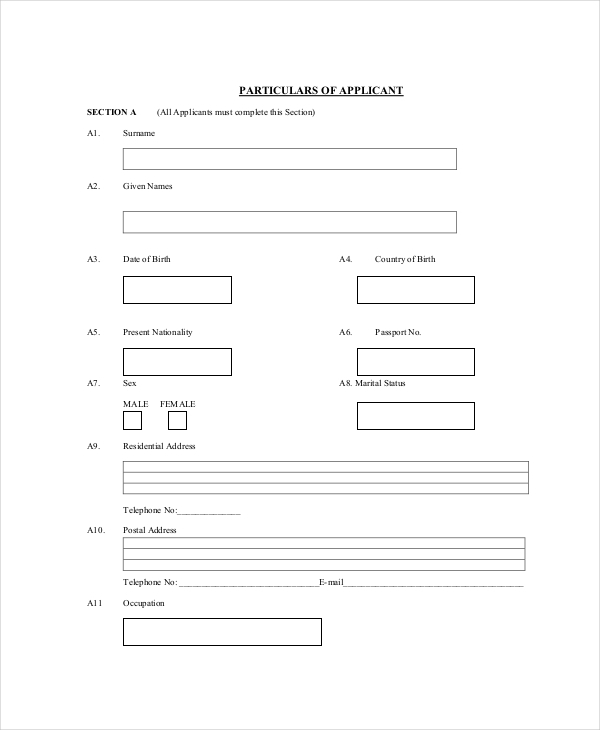 The Application Form contains a number of subheads and queries that urge the person to give out his details. It is on the basis of this information that the government decides whether the person is eligible for citizenship. 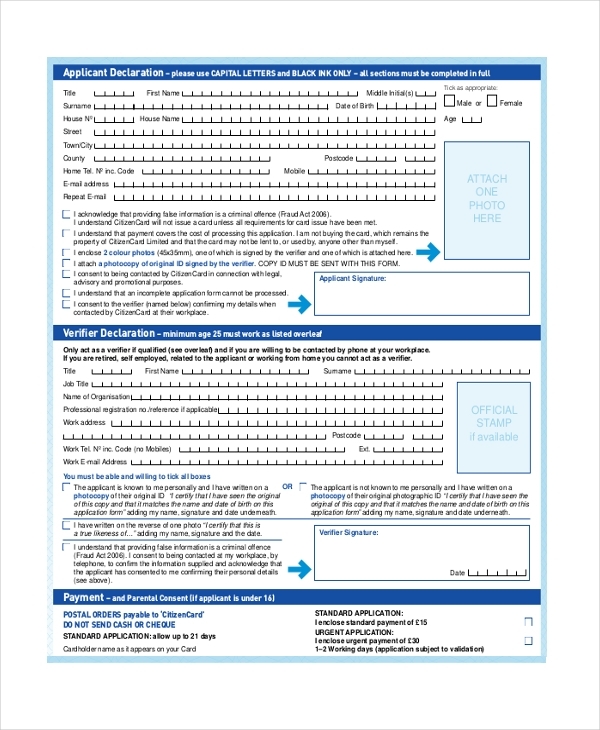 This form is used by the government agency of a country to allow a new citizen to apply for a citizenship card. A person applying for a citizenship needs to appear for a test. The citizenship test application form helps him to apply for this test with the authorities. A person who wishes to apply for a citizenship ID card with the country’s government authorities is required to fill in this form with crucial details. 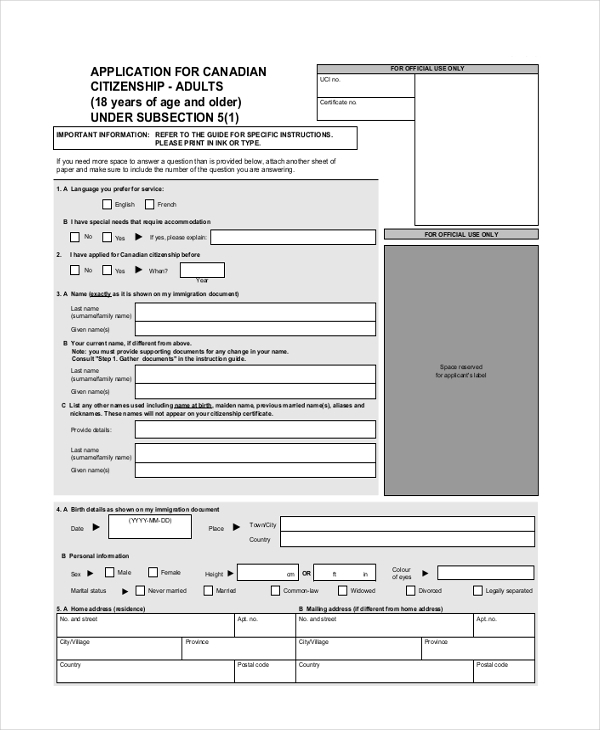 An agent who may be helping people to apply for Canadian citizenship can use this form to gather the relevant information that the authorities would like to know. 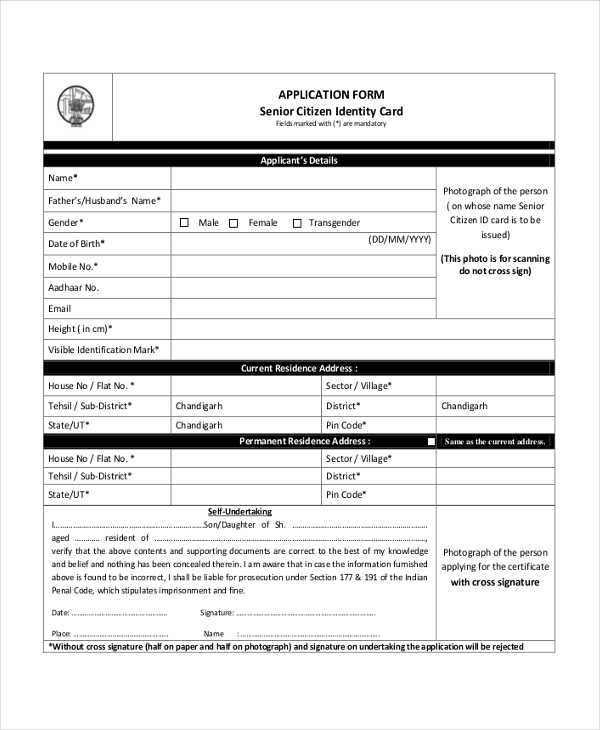 This form can be used to apply for the citizenship in Fiji. 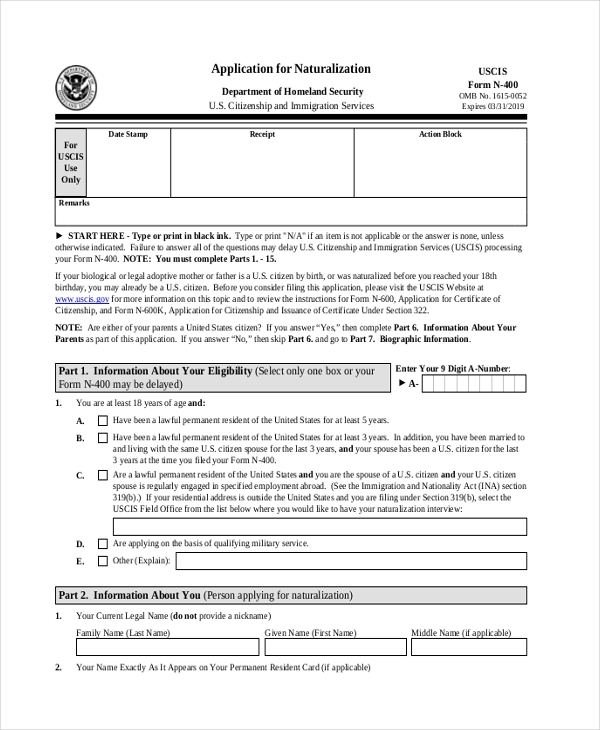 A person using this citizenship form is required to fill in all the details and submit it to the authorities. 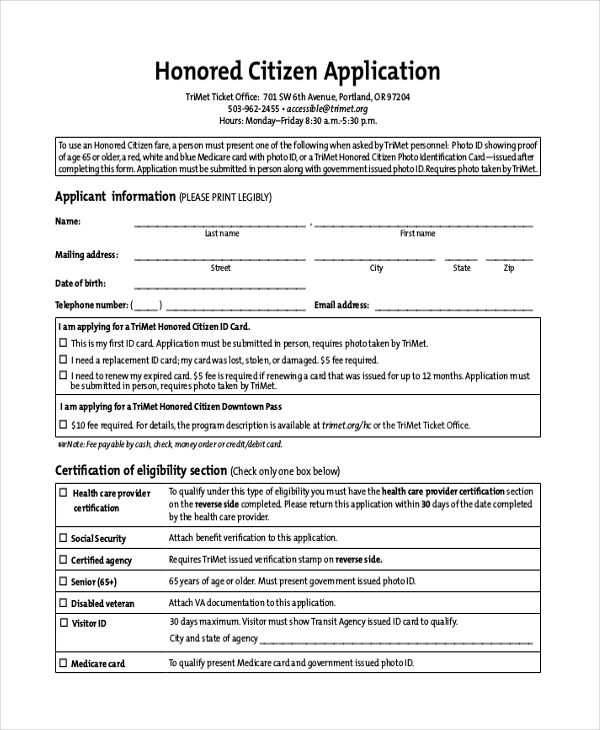 A person, who wants to avail the special concessions offered by the government of a country, needs to use this form to apply for an honored citizenship. 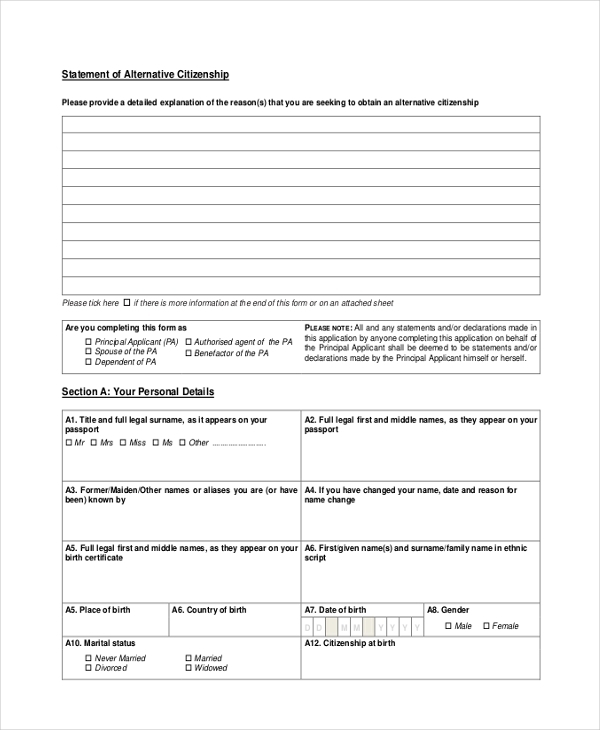 A person who enters a country due to an investment program but later wishes to become a citizen is required to use this form to apply for citizenship of the country. Why Use a Citizenship Application Form? Citizenship application forms are generally issued by the government agencies that are responsible for the task. 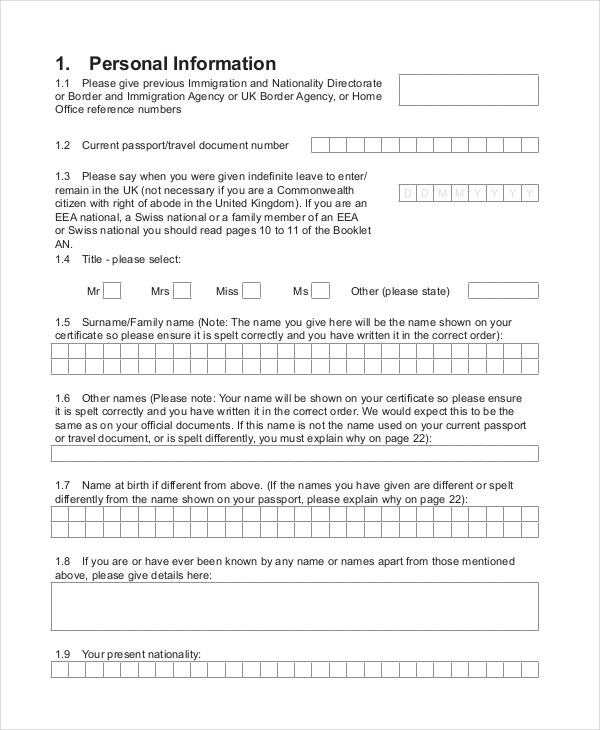 However, if you want to be prepared for all the queries that you may have to answer in these forms, using a citizenship application form would be a good idea. In case, you are an agent who helps people to gain citizenship of your country, you can use these forms to note down all the details that you would be required to provide during the application process. You may also see General Application Forms. What are the Benefits of Using Citizenship Application Form? 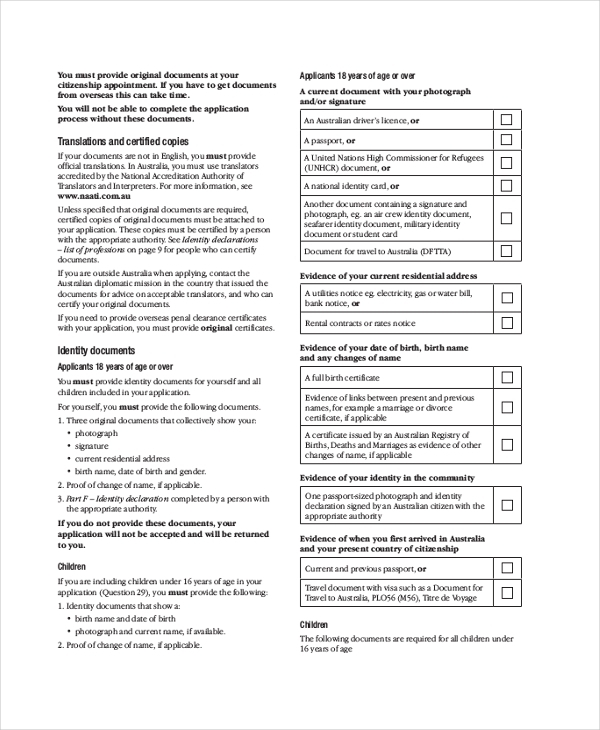 In case you need help to design a citizenship application form but you don’t know how to do it, look no more. We have an impressive collection of these forms which look professional and are cost effective. You can easily find the one that meets your requirements, download it and then customize it. You can also see Rental Application Forms.